Thanks to the recent decline in mortgage rates, which have since inched up some, the so-called “refinanceable population” has swelled 30% to 6.7 million homeowners. These are the folks that Black Knight Financial Services singled out as standing to benefit from a refinance based on the related costs and savings. The company looked at this population two months ago and found that a refinance would prove advantageous for just 5.2 million homeowners based on their broad-based eligibility criteria. That number was also on the decline and expected to dip quite a bit after the Fed raised rates for the first time since 2006. But then the stock market plummeted and with it the 10-year yield, which pushed mortgage rates back toward record lows. As a result, the population of refinanceable borrowers surged, and with it the amount those borrowers could potentially save. Let’s All Save $20 Billion Together, Shall We? In total, Black Knight estimates that if all these 6.7 million homeowners refinance, we’ll save a collective $20 billion annually on mortgage payments. The total monthly savings have increased from around $1.28 billion per month to somewhere near $1.68 billion, with the average borrower saving $3,000 annually. Some one million or so borrowers could save over $400 per month if they refinanced, and 3.3 million homeowners could save $200 or more each month. Of course, we know not everyone will refinance, even if they’re able to do so. There are plenty of folks that simply aren’t interested, others who don’t want to put in the work, and probably more that don’t want to reset the clock or risk being declined for some reason. 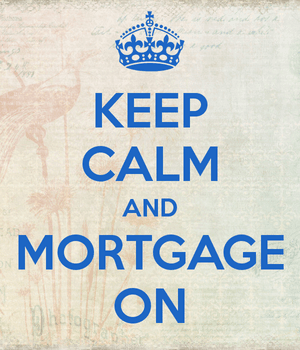 I’m sure many also don’t think their homes are worth enough to refinance. Amazingly, a mere 15-basis-point additional reduction in 30-year fixed mortgage rates that would push them down to 3.5% would add another 2.1 million borrowers into the refinanceable population. If that were to happen, the 8.8 million population of ripe refinance candidates would be the highest since 2012-2013, at a time when mortgage rates were at all-time lows. We’ll see if that happens – rates are currently on an upward swing, though plenty of market bears see the current uptrend as a short-lived interruption in an economy that is decidedly ugly and questionable at current valuations. It might seem strange that a lot of these homeowners aren’t refinancing, and probably never will since Americans largely believe mortgage rates have nowhere to go but up. The latest Fannie Mae Housing Survey (February 2016) revealed that just five percent of respondents believe mortgage rates will go down over the next 12 months. At the same time, 55% expect them to go up during that time. In other words, no one really thinks rates are going to get much more attractive, so why aren’t they refinancing now? It could be for reasons I already discussed, or just some sort of numbness after enjoying year after year of low rates, and wrong forecast after wrong forecast about them finally rising. There’s also the thought that homeowners don’t want to give up their cozy fixed mortgages for a lower rate that one could find in a hybrid ARM, despite the fact that many of these homeowners will likely move in the next five years. Fannie also found that fewer homeowners expect home prices to rise from current levels. The share of respondents who felt home prices would rise over the next 12 months slipped from 45% to 44% last month. Meanwhile, the share that expected them to drop increased from 8% to 11%. Despite this, a larger share of respondents felt it was a good time to buy a home, with a 63% share (up from 61%) reported in February. The share who felt it was a bad time also dropped from 30% to 28%. At first glance, it is kind of strange that more Americans think it’s a good time to buy when home prices appear to be topping, but I suppose that could just have to do with the recent improvement in mortgage rates. As you can see from the chart above, “good time to buy” has been trending lower and lower over the past two years as home prices have increased. And “bad time to buy” is on the rise for the same reason, limited upside and expensive home prices. There just seems to be a blip related to the pullback in interest rates.